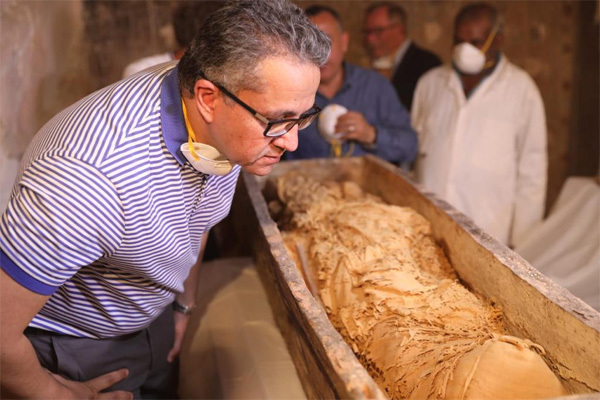 After the announcement on Saturday of the newly discovered tomb of Mut Temple’s overseer of mummification, Minister of Antiquities Khaled El- Anany witnessed the opening of the sarcophagus. 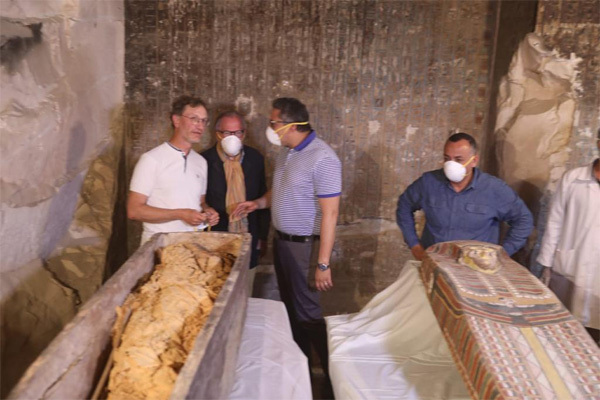 French Professor Frederic Colin, head of the French mission in Tomb TT32 where the sarcophagus was found, told Ahram Online that the sarcophagus dates from the 18th dynasty and houses a very well-preserved mummy wrapped in linen. 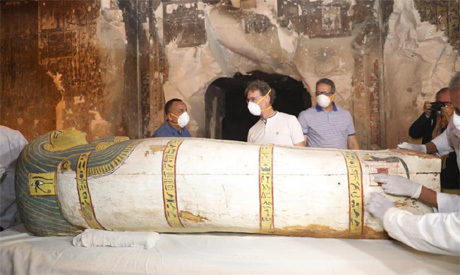 Early examination shows that the mummy was restored and re-wrapped in linen during the late period. 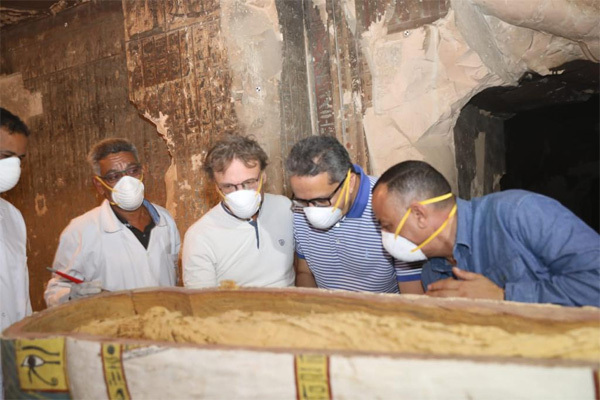 Examination and studies will continue to learn more about the discovery.